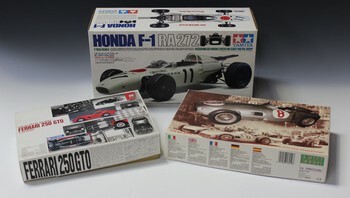 A small collection of model kits, including a Protar Jawa speedway bike and a Gunze Sangyo Ferrari 250 GTO, and a Tamiya Honda F-1 RA272 assembled model, all boxed. 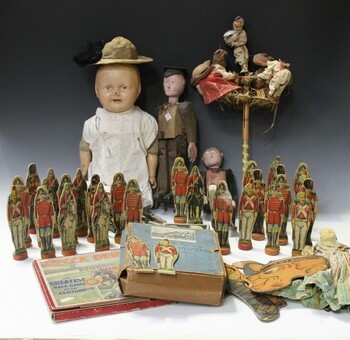 A Chad Valley GWR jigsaw puzzle 'The Torbay Express', boxed with map and information sheet, a 'Decca Derby' race game, a part-set of TanSad RoloBoko, a composition doll, two articulated metal figures, two articulated wooden figures etc (playwear and faults). 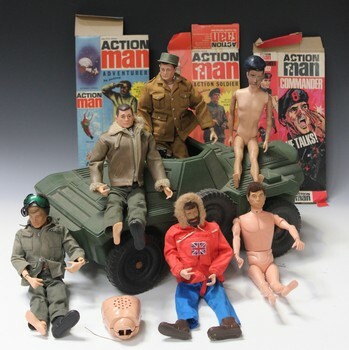 A collection of Palitoy Action Man figures and accessories, including Action Soldier and Adventurer, both with boxes, other Action Man figures, various uniforms, clothes, weapons, a dog sled and three dogs, a scout car, five Action Man adventure books and a group of army manuals and leaflets (playwear, faults, boxes and leaflets creased, torn and scuffed). 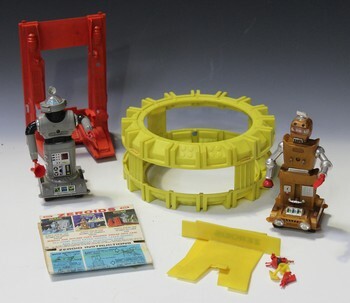 An Ideal Zeroids Zobor robot, a Zintar robot and a lunar sled (playwear and faults). 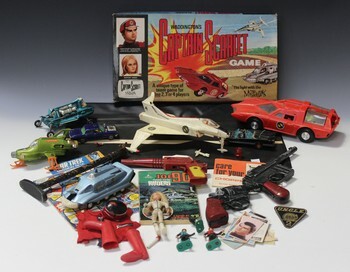 A collection of television related toys and games, including a Waddington's Captain Scarlet Game, a plastic friction powered Captain Scarlet car, a Lone Star gun, a Man from U.N.C.L.E. toy gun and Corgi Toys and Dinky Toys vehicles (playwear and faults). 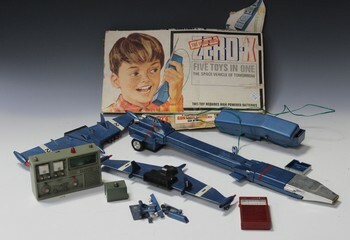 A Secret Sam spy and gun set, within its case, and a Century 21 Toys Zero-X space vehicle, with box (playwear, box badly torn, creased and scuffed and lacking parts). 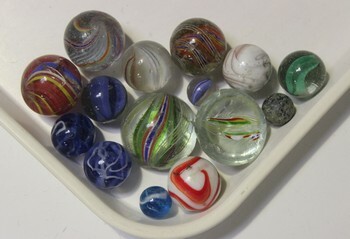 A small collection of marbles, including a latticinio example and another with colour swirls (playwear, chipped and faults).